Befriend the competition? Mon Dieu! You spend so much time hiding from them, spying on them, stalking their Yelp pages and figuring out what makes you different. But take a step back and see the possibilities for your business. Smart small businesses that are clear on their brand strategy – who they are, who they serve, the value they provide and their unique personality and vibe – see the world differently. If you’re playing the “me too” game, then of course you’ll feel threatened by others who look and sound just like you. But if you confidently build a brand strategy focused on a specific ideal customer or client, with a handle on what you do better than anyone else and how you deliver that experience, you realize your piece of the pie is can’t possibly be offered by the guy down the street. Think about it. We all buy shirts, right? But we buy them from different places for different reasons. Walmart is not targeting the same customer (or at least the same buying driver) as Saks. That’s the power of understanding your brand strategy inside and out – and realizing it means way more than just a pretty logo. Your brand is your core story, impression, and reputation. It’s the promise you make to the market so people know exactly where to slot you in their brains. Are you cheap and disposable or luxury and handcrafted? Do you serve solo women entrepreneurs or fast-growth tech companies? Once you know who you are, you start to see that those who you used to consider competition are actually friends. Smart small businesses are partnering up and playing nice by aligning their brands with complementary offerings so everyone’s business can grow. When we combine efforts, we can offer much more value to potential customers than we can if we try to go it alone. If you know who you are, who you serve, and the value you provide, you are confident in your brand and the tribe you attract. Think about what those people need and find a competitor who approaches things slightly differently and can offer something complementary to increase exposure and sales. For example, local chocolate shops in Seattle once joined forces to offer a buzz-worthy “Chocolate Tour” that not only attracted and delighted more customers for everyone, but scored them major press. Perhaps you’re a retail business “competing” with shops on the same block. Nonsense. I doubt you all sell and do the exact same thing for the exact same target customer. Plan a combined Sidewalk Sale to increase foot traffic for everyone. Personally, I’ve offered joint seminars with other brand and marketing consultants who serve a slightly different client or have expertise in a different area. People might think we’re competitors but we really have different strengths we’re leveraging and boost our exposure by joining forces. You can’t possibly provide everything your customer or client needs related to your business. When you understand your brand strategy inside and out, you also know you wouldn’t want to. Think through the needs of your audience and form a referral network with “perceived” competitors who serve the same target buyers in different ways. For example, a residential cleaning company can refer out corporate inquiries to commercial cleaners and vice versa. A social media consultant can refer a client to a branding consultant first to shape their story before creating an online marketing plan. You can even monetize this referral network if you like, kicking back a commission each way so you create another revenue stream. This ensures customers get what they need, you get to focus on what you do best, and everyone is happy. In addition, when you open your eyes and realize not all these businesses are competitors, you build a strong peer network that shares articles and resources about your target market. Beyond just referring to each other, complementary businesses can create value-driven joint marketing opportunities with those who target the same audience in different ways to offer one-stop shopping. Maybe you’re a roofing company and can partner with local plumbers and electricians to create a packaged promo special for Spring Repair work. Or you are a florist and you agree to partner with a jewelry store or spa to create a unique Valentine’s Day shopping event. A popular tactic I’ve seen is a personal stylist who partners with a career coach or a dating site to offer an add-on package that helps people put their best foot forward. 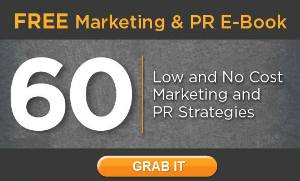 This kind of creative co-marketing enables you to not just share the financial burden – but helps you differentiate and stand out from your real, direct competition. As you can see, there are many ways that adjusting your viewpoint slightly can greatly benefit your business. Playing nice can be a lot of fun – as well as be very profitable. Do you have some other suggestions to add? Please share them in the comments below. Maria Ross is a brand strategist, speaker and author who believes cash flow and creativity are not mutually exclusive. 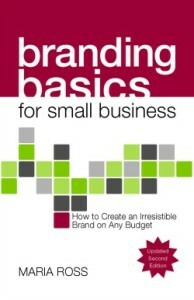 As creator of Red Slice, a brand consultancy that helps start-ups, small businesses and entrepreneurs craft irresistible brands, she just launched the 2nd edition of her Amazon best-selling book, Branding Basics for Small Business: How to Create an Irresistible Brand on Any Budget on April 1. The highly-praised book teaches time- and cash-strapped organizations what brand really is, why it matters to the bottom line and 10 crucial questions that will help you make smarter marketing decisions that boost your business.